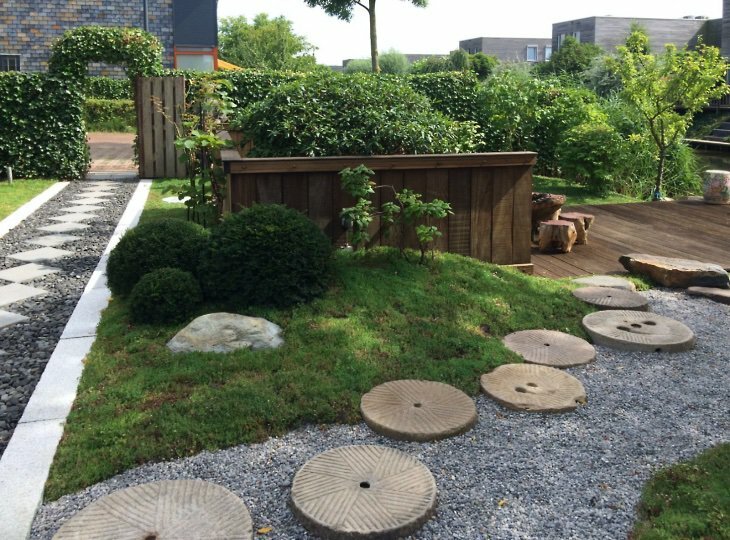 A small backyard in a modern suburb. 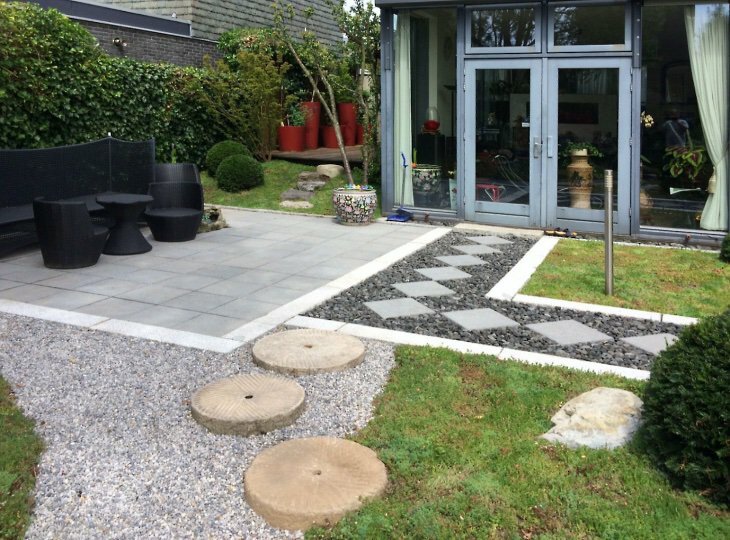 This project clearly shows that a very satisfactory result can also be achieved on a limited budget. 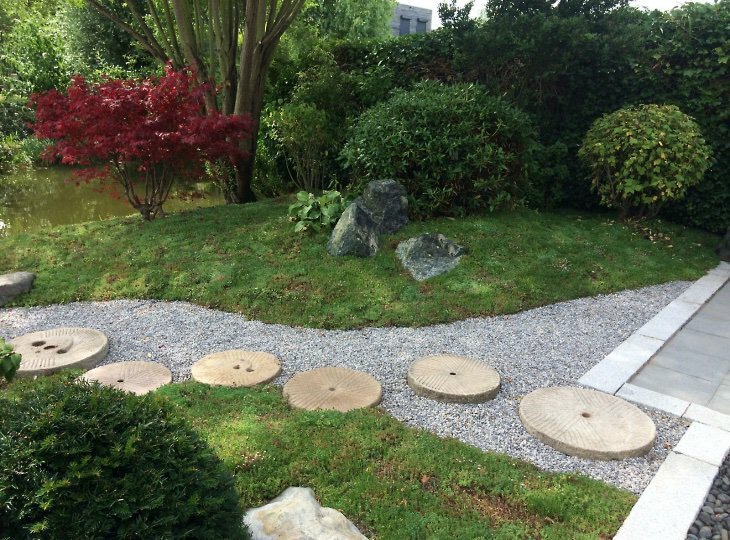 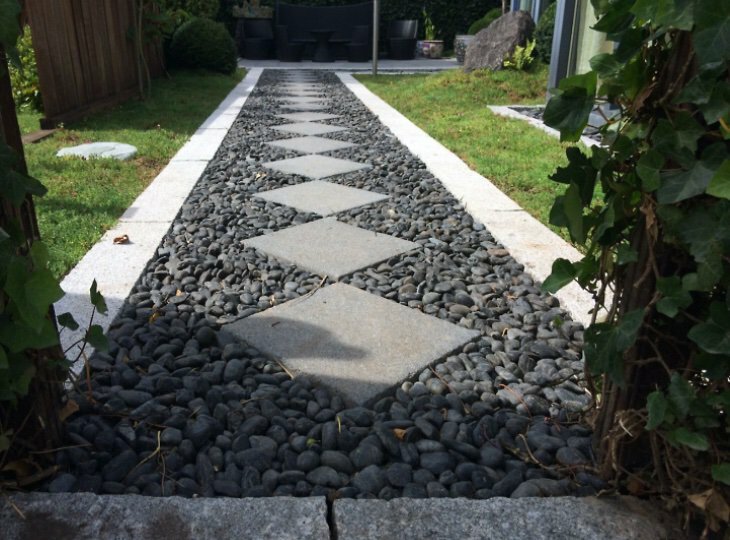 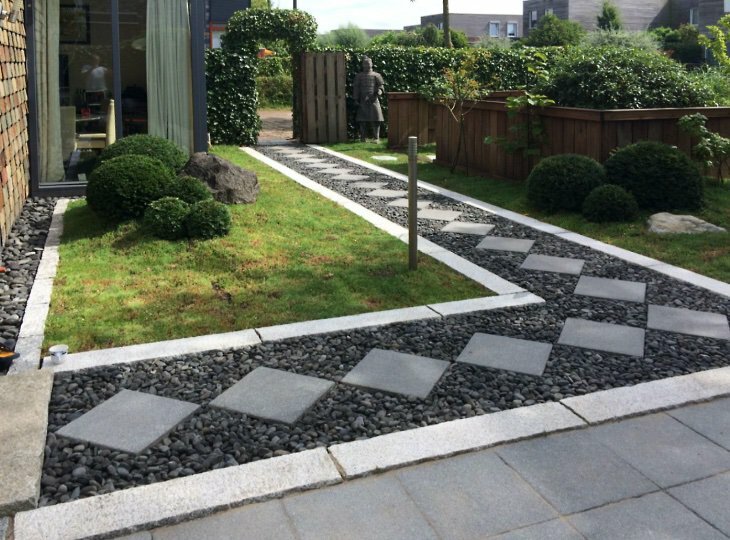 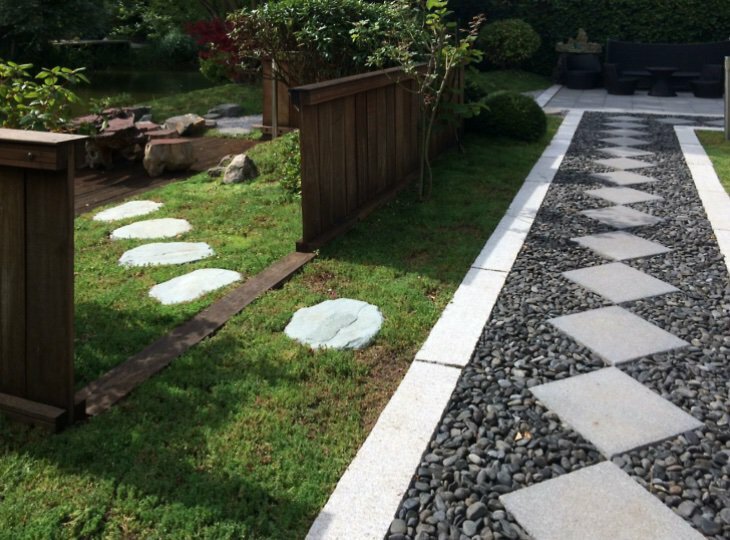 By using the tiles from the old terrace combined with granite curb stones and black pebbles, a real Japanese footpath was created. 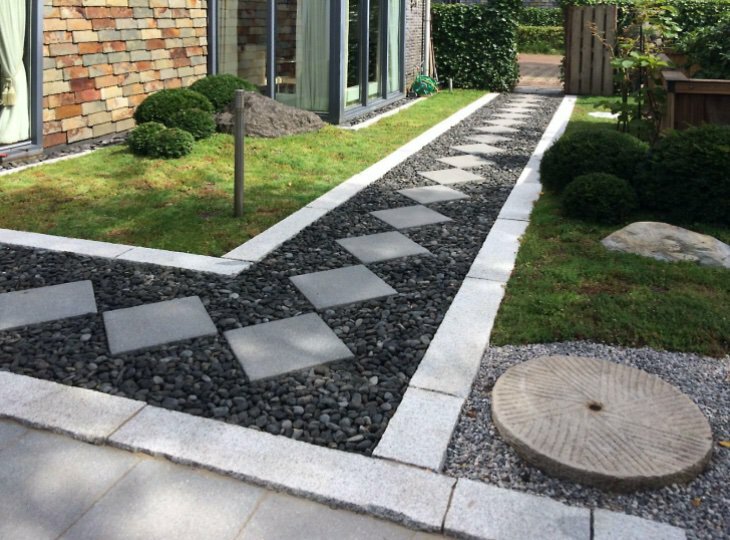 Thanks to the diagonal application of the tiles in the path the garden 'feels' more spacious. 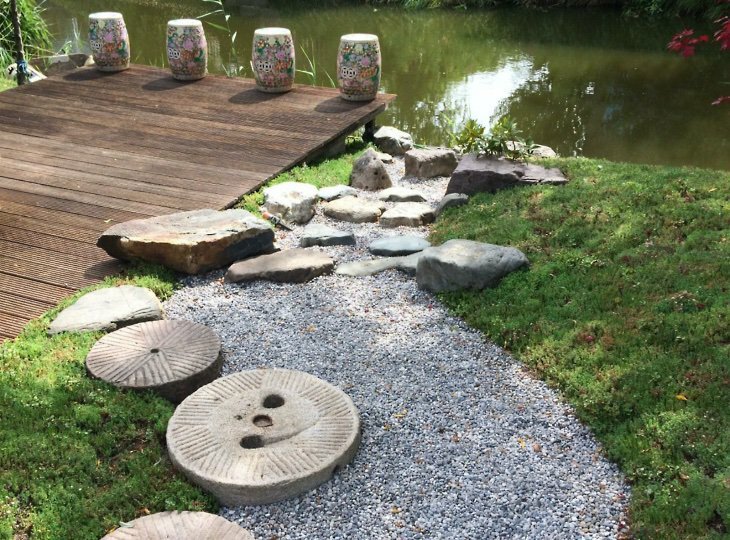 The existing wooden walls in the middle of the garden and the terraces on the water and next to the house were respected and included in the design. 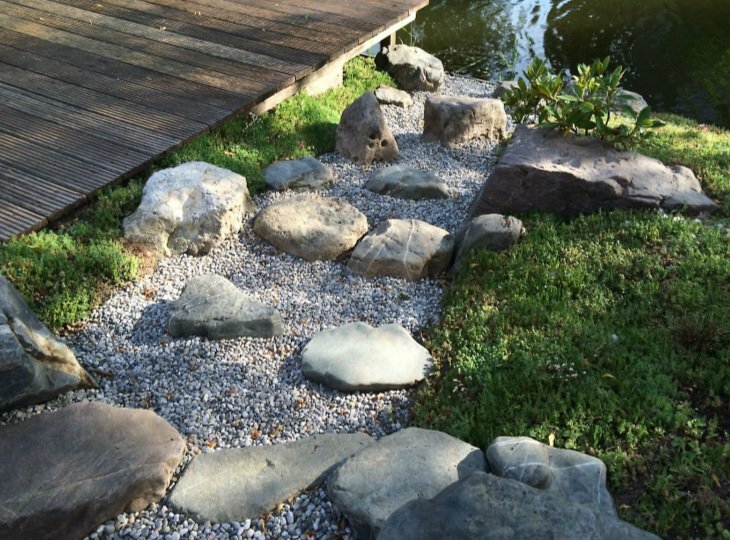 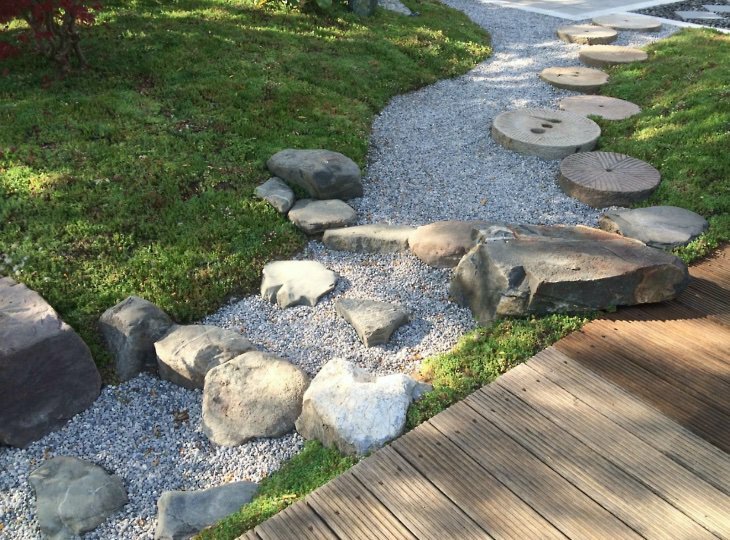 The existing boulders and stones have been reused to create a waterfall in the gravel. 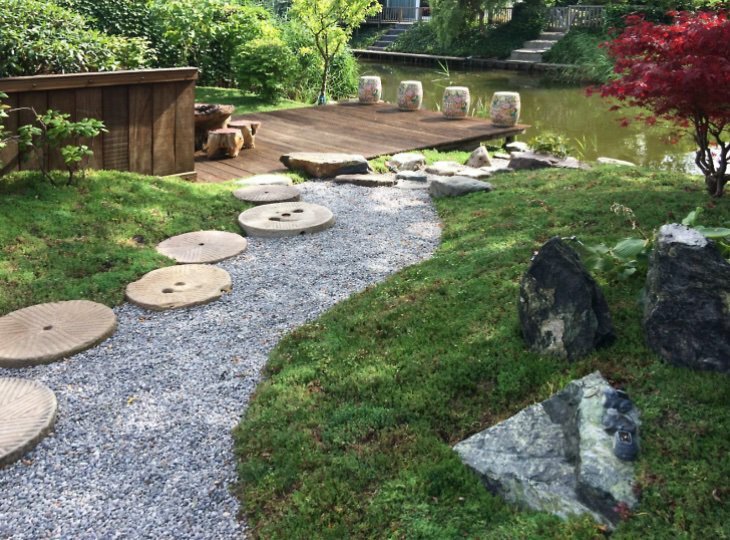 Also, a stepping stone staircase was created that connects the stone terrace with the higher wooden terrace. 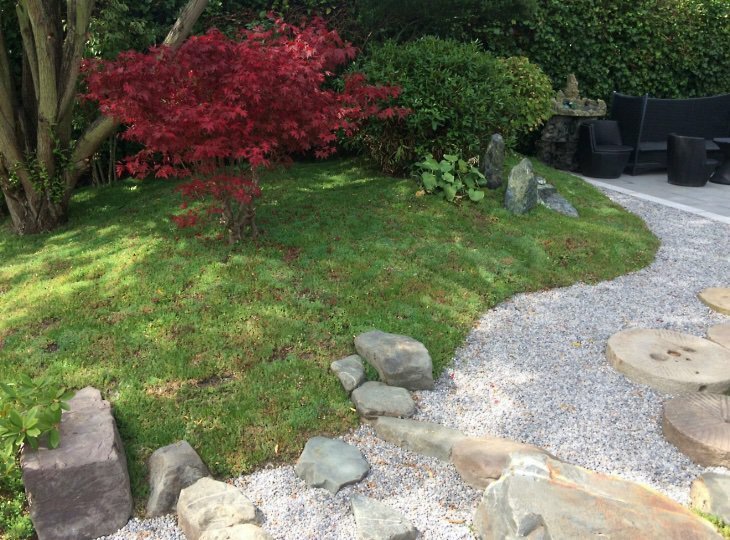 To make the tree stems look nice, the trees have been pruned severely. 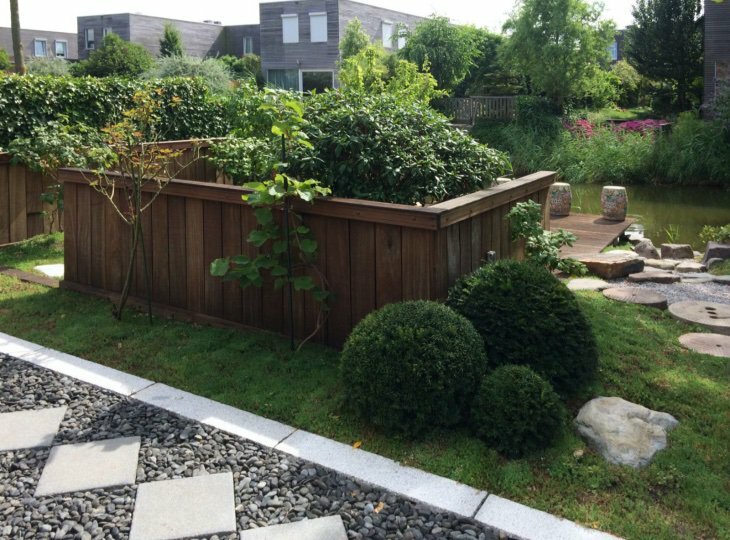 A large Rhododendron has been placed inside the wooden walls. 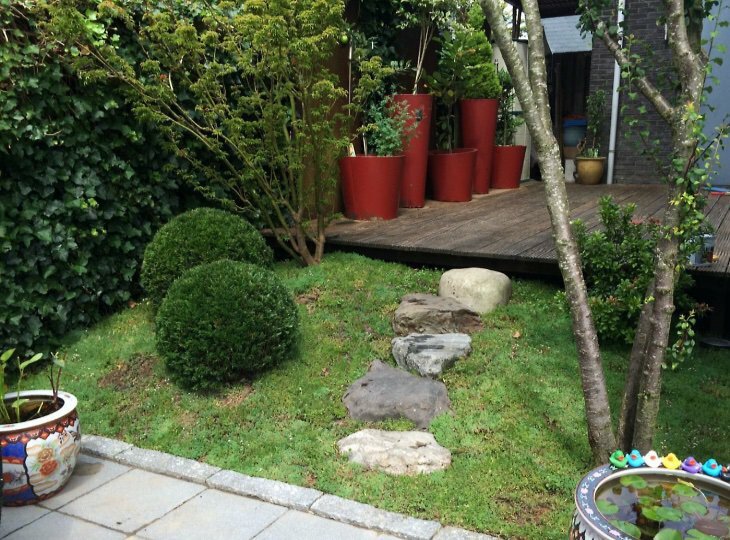 Furthermore, the garden is decorated with Taxus bulbs. 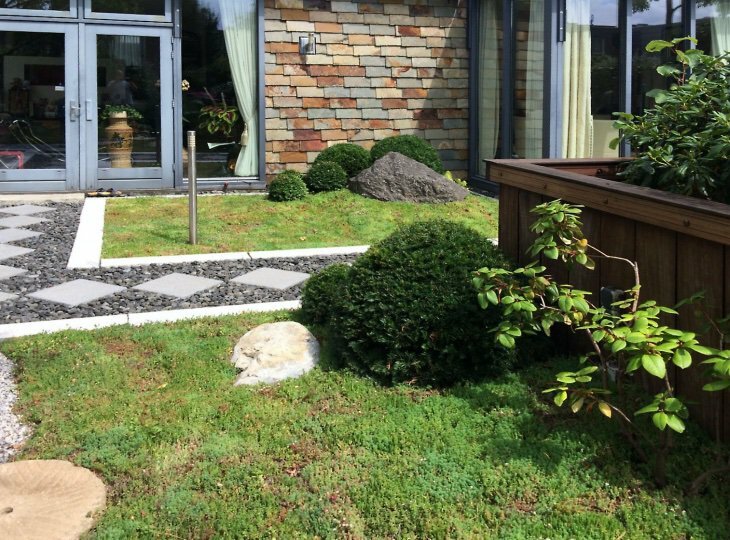 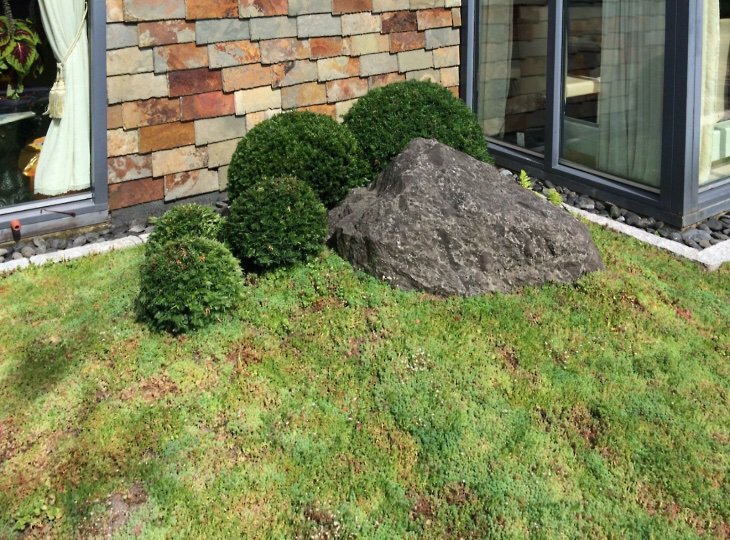 A price-friendly low growing Sedum variant was applied as a ground cover. 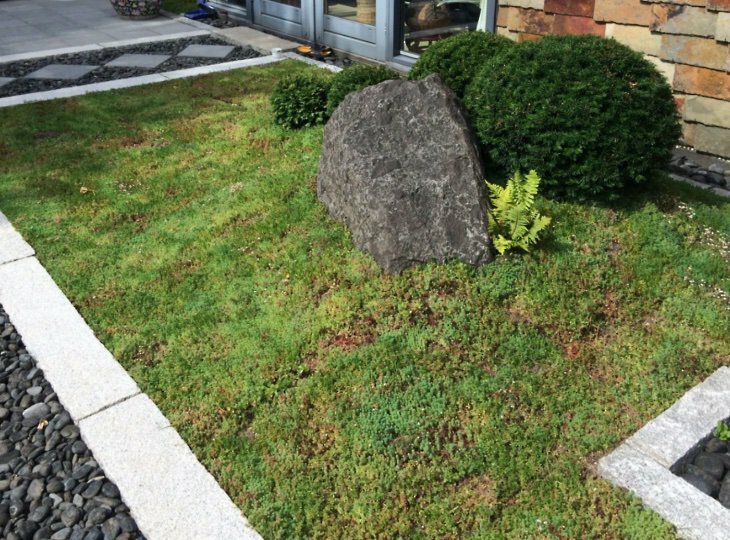 The result is great.